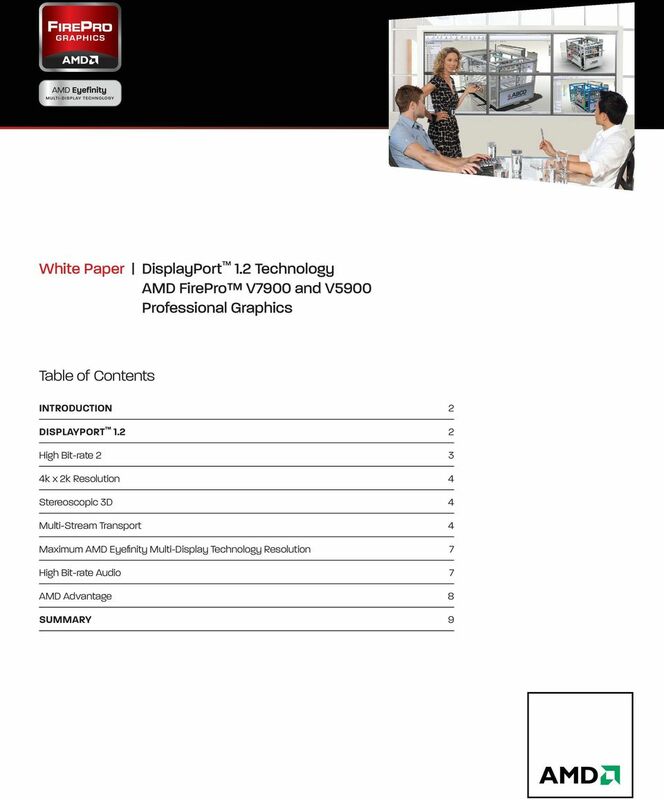 Download "White Paper DisplayPort 1.2 Technology AMD FirePro V7900 and V5900 Professional Graphics. 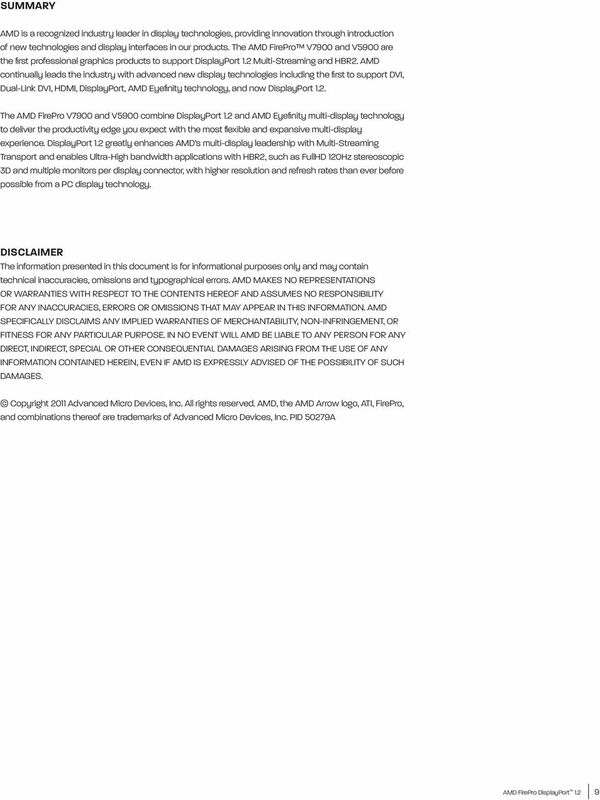 Table of Contents"
J3G90AA INTRODUCTION The NVIDIA Quadro K5200 gives you amazing application performance and capability, making it faster and easier to accelerate 3D models, render complex scenes, and simulate large datasets. Awards News. 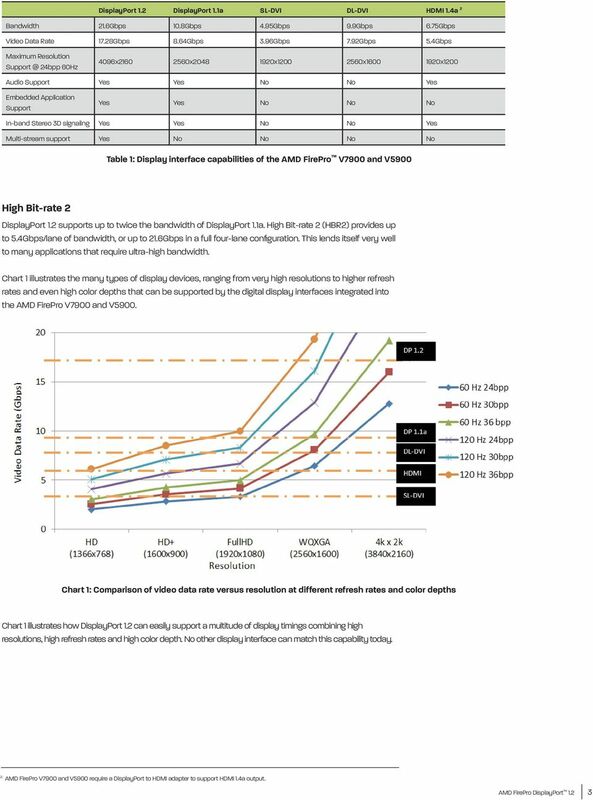 GDDR5 memory provides twice the bandwidth per pin of GDDR3 memory, delivering more speed and higher bandwidth. 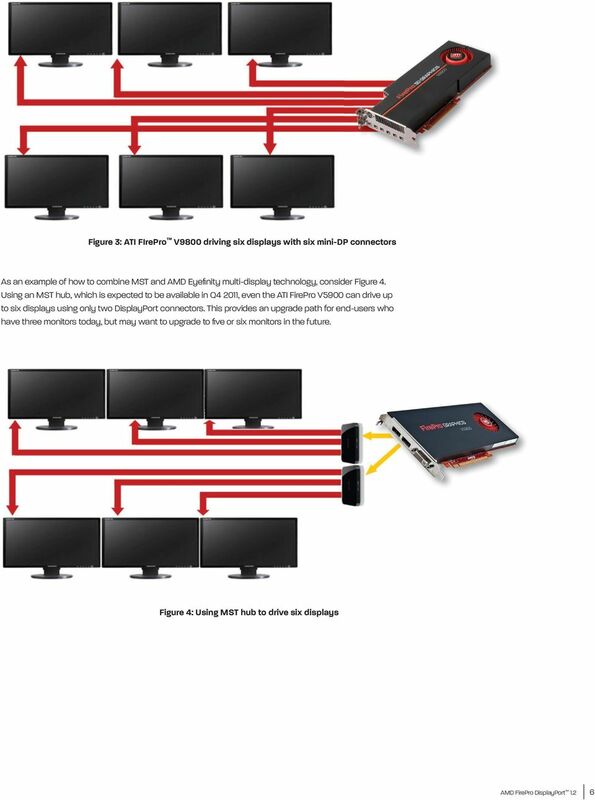 SAPPHIRE FleX HD 6870 1GB GDDE5 SAPPHIRE HD 6870 FleX can support three DVI monitors in Eyefinity mode and deliver a true SLS (Single Large Surface) work area without the need for costly active adapters. 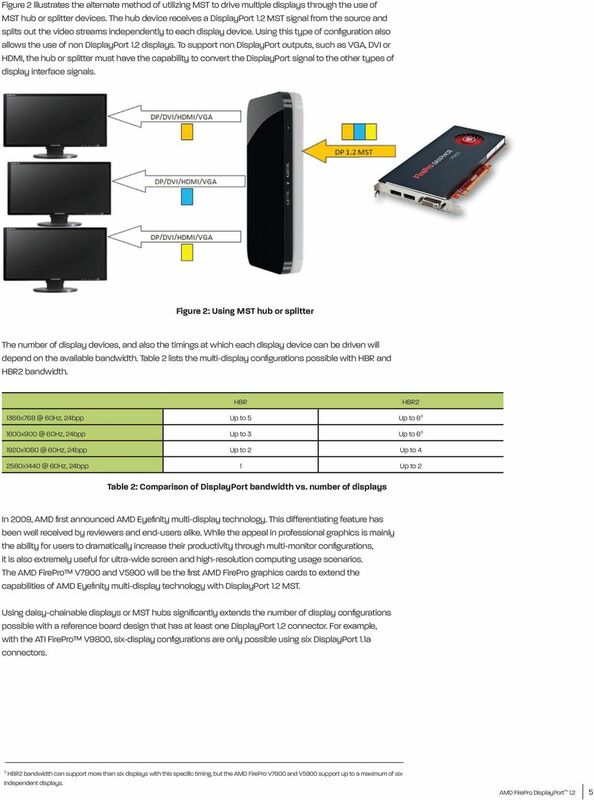 This MST hub lets you connect four monitors to your Mini DisplayPort (mdp) 1.2 equipped Windows tablet, laptop or desktop. 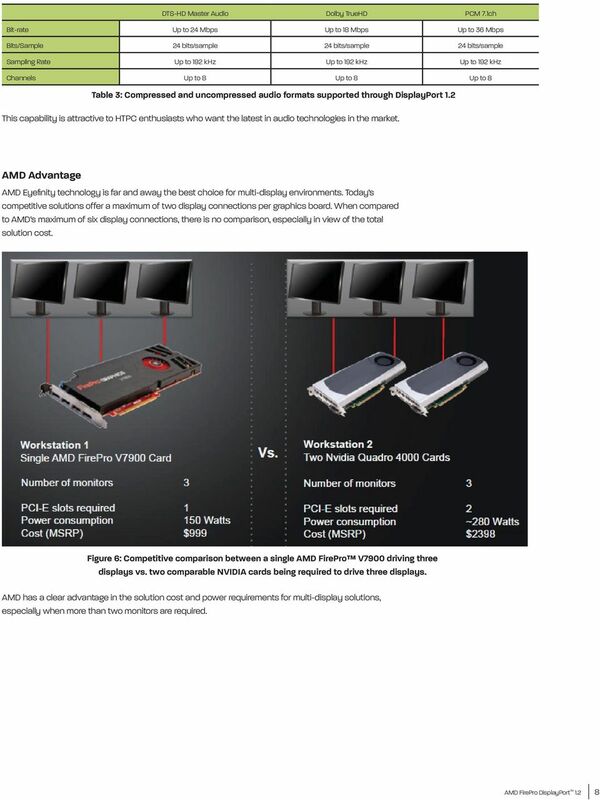 J3G91AA INTRODUCTION The AMD FirePro W2100 graphics board utilizes state of the art professional GPU technologies to deliver outstanding professional 3D performance in a cost effective low profile package. Video over USB. Why Video over USB? By Ashwini Govindaraman, Cypress Semiconductor Corp. User Guide. 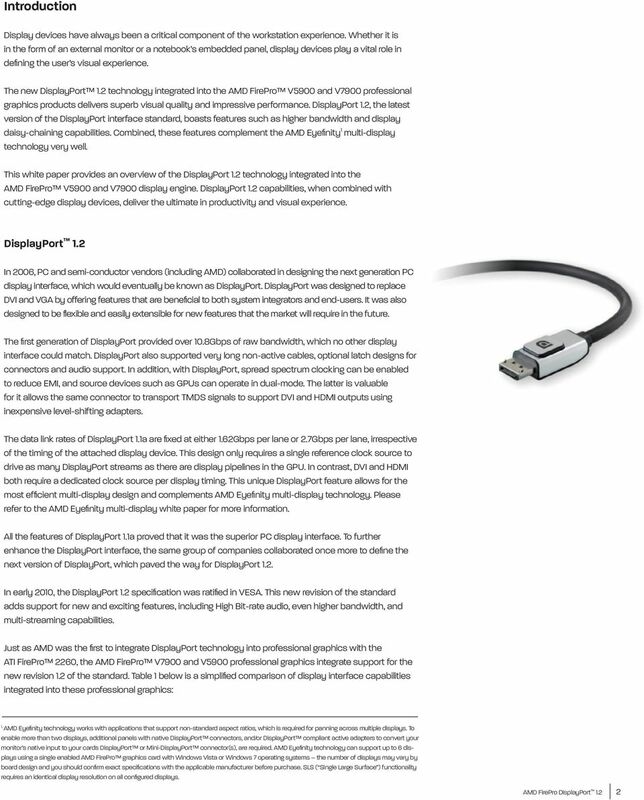 DVI-D Fiber Optic Cable. 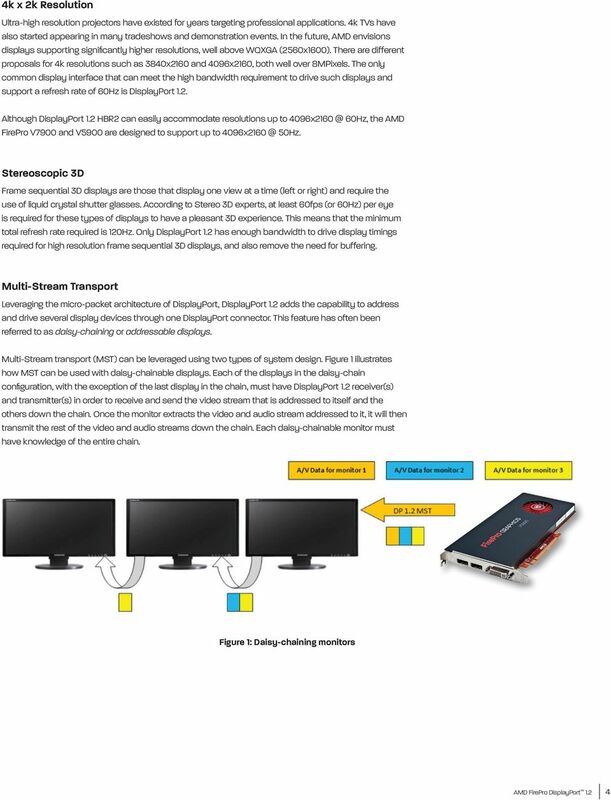 DVI + Digital Audio to HDMI Converter. HDMI to DVI + Digital Audio Converter DVI-3510a. 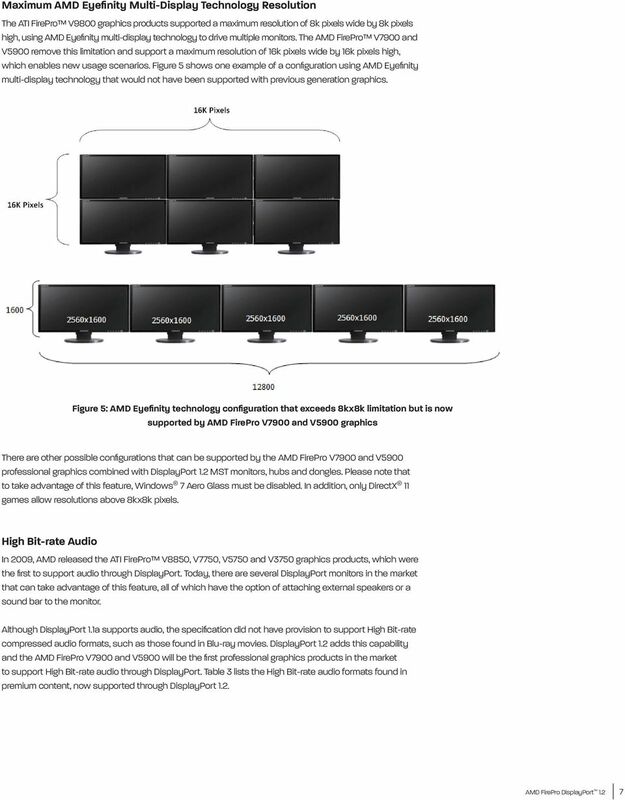 HDMI 1.4 Matrix 6 2 User manual Thank you for purchasing this product. For optimum performance and safety, please read these instructions carefully before connecting, operating or adjusting this product.